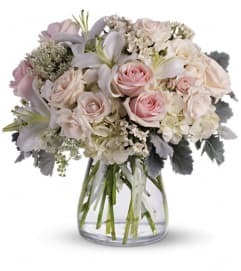 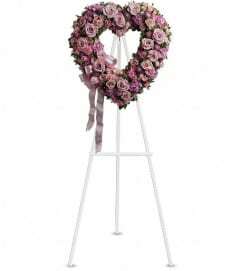 A beautiful spray of soft pink, white and crème blooms ease the burden of loss. 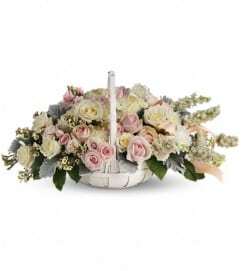 Pink hydrangea, larkspur and roses mingle with white roses, stock and waxflower. 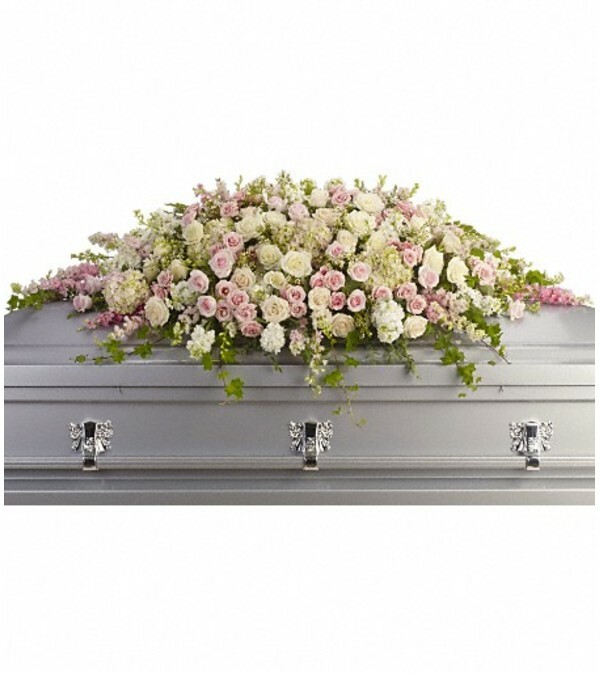 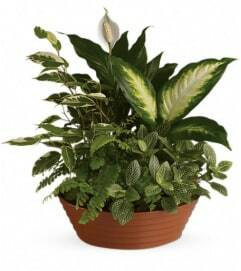 Ivy, fern and fragrant eucalyptus act as green accents in this spray that rests atop the casket.